Most people imagine large brick-like bars when they think of gold. In fact the gold bullion bars used on bank heist film weigh 12.5kg and are worth nearly £1/2million! Luckily for the average investor bullion bars are available in many sizes to suit even the most modest pocket. Bar weights come in both imperial and metric denominations. The common weights you’ll see are 1g, 2.5g, 5g, 10g, 20g, 1oz, 50g, 100g, 5oz, 250g, 10oz, 500g, 1kg, and 12.5kg. There are thousands of different producers of bars and many of the top refiners are members of the London Bullion Market Association (LBMA) which provides accreditation and guarantee of quality. Some of the best known manufacturers are Credit Suisse, Johnson Matthey, Pamp Suisse and Umicore. Each may produce bars of equal gold content and weight, but with varying dimensions and shape. All will be regarded as 24 karat which is virtually pure gold and is often quoted as 99.99% pure. Some bar refiners will offer certification and serial numbers on some of the smallest bars, while others only provide documentation for bars of 250g or larger. is that you will more often than not receive the most actual gold for your money as their value solely consists of their gold content. However a popular misconception is that bars can be bought exactly at the gold spot price. This is never true unless you are a large central bank dealing in tonnes of gold! In practise, the spot gold price is the benchmark from which all types of investment gold are priced. Gold bars will generally trade at a narrower premium to coins and this premium falls as the size of the bar increases. Obviously when selling back a 1oz gold bar, you will no doubt receive a lower price from a dealer than its equivalent sized coin. While a gold bar is the most efficient purchase for someone looking to melt down the gold for jewellery, it can present some obstacles for other investors. The very fact that it’s 24 karat gold means that unless the bars are kept in a specialist depository, it can scratch and tarnish. This can affect the price you’ll receive when selling the bar. Ease in selling your bars can be affected by two other factors. Firstly make sure that you buy a well known manufacturer, as there are many obscure producers whose bars may be more difficult to sell. Secondly, while purchasing larger bars may save a couple of percent off the buy price, you cannot break this bar up if you only want to cash-in some of your investment. You may find a 1kg bar may be more difficult to sell than a 1oz bar as there are fewer buyers. Finally, unless bought as part of a pension, the profit made on the bullion bars is taxable. If you’re keen to own gold bullion as part of your pension, then bullion bars are the only type of gold that qualifies. Gold coins of any type are not currently permitted into UK pensions. The advantages of Pension gold are that you receive up to 40% discount off the price of bars through tax relief, the bars are in 1oz denominations offering full flexibility and are stored in a licensed gold depository – maintaining the integrity of the bars. Bullion Bars are more practical if you are planning on buying a large amount of gold and wish to save your money this way for a long time before cashing it in as whole for a lump sum. When storing a lot of gold, gold bars are generally the easier and more practical option. This is why you will often see that central bank reserves of gold are kept in blocks of 400 Troy ounce gold bullion bars. Gold bars don’t have to restricted to huge amounts of cash either, as they are available in a range of sizes. While the trading of gold bullion bars won’t necessarily be as fluid as coins, you may prefer bars so you can trade it in at a later date as a nest egg. You can choose to store your gold bars either at home or in a bank, but it is vital to ensure it is secure and protected. Any damage to the surface of the gold can lower its value, and with higher purity gold – tarnishing is more likely. If you are choosing to store your gold at home, it is also important to ensure you inform your home insurance company and have somewhere safe and secure where it can be stored such as a safe. Physical gold is a popular form of insurance for those anticipating the event of complete financial or societal breakdown – as gold is likely to retain its value and still be easily traded as a form of currency. Saving for the future is important and by choosing to buy gold bars, you can ensure you protect the value of your money and hedge against inflation. In the present economic climate, there is global uncertainty across all the continents. This uncertainty is geopolitical in nature and not necessarily linked to financial markets. However, due to its knock-on effect on global capital markets, financial markets have taken a huge hit as well. In Europe, we are dealing with the never-ending uncertainty surrounding Brexit, while the US markets are dealing with two issues. The first is the trade war with China, which has had a domino effect across the world. Then there’s Donald Trump’s foreign policy and internal policies, which seems to be stemming from a wave of protectionism and nationalism. This has led to a hostile environment for immigrant workers, particularly for those in America on H1B visas. For India, a country that depends on earning its petrodollars through export of IT workers to US firms, this has created a sizable dent, if not significant, which has, in turn, had an impact on real estate markets within the country. Banks and mortgage companies have historically depended on steady pay increases of employees within the country’s burgeoning IT sector. Suddenly, the immigrants are returning, outsourcing from US firms are thinning out and along with it, the money supply is drying up. As banks become increasingly tight-fisted when it comes to approving mortgages, buyers have disappeared from real estate markets in major cities, causing the markets to go stagnant. So, you can see how economic and political conditions in one part of the world has an impact on a completely different part of the globe thousands of miles away. Political ambiguity, the war on terror, it all adds up. In the meantime, we are again witnessing the rise of gold prices. Through August 2018, the COMEX gold price has started steadily climbing from around $1,180 to $1,220 and finally settling in at $1,206. 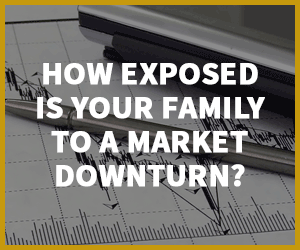 Historically, we have seen that investors always return to gold as a safe haven during times of turmoil and our current times are no different. Gold has proven to be a stable asset class over the years. While it’s true that the price of gold does fall periodically, gold has eventually triumphed over the years, holding strong and proving to be an asset class with rock-solid fundamentals. Let’s take a quick look at how gold has fared over a twenty-year period – 1996 to 2016. Buy bullion low, sell high…. A quick look at those figures shows fewer falls in gold prices than rises. Notably, there are significant highs in 2002 and 2003 where prices rose by as much as 23.96% and 21.74% in the consecutive years. Once again, shortly thereafter gold closed at $836.50 per troy ounce in 2007, a significant rise of 31.59%. Thereafter, in 2010 we saw the price rise to $1,420.25. So, in comparison, the August 2018 price of around $1,220 per troy ounce could once again be a movement towards a similar direction. Investing in bullion bars follows a philosophy of buying low and selling high, so now be a good time to invest in bullion bars. Among the many types of gold investments, bullion bars provide you with 999.9 purity gold, which is a great all-time investment. The other option would be bullion coins, or coin sets, which you can also purchase from Physical Gold, although it’s more of a preferred option for numismatists. Physical Gold is a highly reputed gold broker with a BNTA membership, giving you peace of mind when you invest with us. Our prices are extremely competitive and offer customers great value for money in building a portfolio with us. Our pricing structure even offers customers like you discounts as you buy more bars. Every gold bar we sell is vetted, tested and verified to be 100% genuine. If the product doesn’t meet our stringent standards, we don’t sell it. We issue a genuineness certificate with every product we sell and even offer a buyback guarantee for each product. Of course, if you’re unsure in any way about which product is best for your investment goals, our investment advisors are always there to help you along the way. Our team of advisors have several man-years of expertise in the precious metals business and all you need to do is discuss your long-term investment goals with a member of the team. We will then work out a solution that’s right for you and revert to you at the earliest. Call us today on 020 7060 9992 or simply drop us a line by filling out the contact form on our website. We will be more than happy to schedule a call with you according to your convenience, which could be the best call that you ever made. This entry was posted in Guides and tagged Gold Bars, Gold Investment, Physical Gold.